Walking the course of the Boat Race from start to finish: explanation about history and tactics of the Boat Race alongside the Thames. 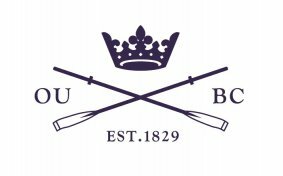 First raced in 1829 (men) and 1927 (women) respectively, The Cancer Research UK Boat Races are amongst the oldest sporting events in the world. March 2016 will see the running of the 162nd Boat Race and 71st Women’s Boat Race, both now taking place on the Championship Course. Watched by thousands along the banks of the Tideway, between Putney and Mortlake in London, and by millions more on TV around the world, The Cancer Research UK Boat Races are a unique sporting event. With four very strong squads of athletes, expect to see more thrilling contests once again this year. The race came about because two friends from Harrow School, Charles Wordsworth (nephew of the poet William Wordsworth), of Christ Church College, Oxford, and Charles Merrivale of St. John’s, Cambridge, met during the vacation in Cambridge, where Wordsworth’s father was master of Trinity. Staniforth and Snow had been schoolfellows and boating comrades at Eton. Can Too Much Talent Harm Your Team’s Performance? Dear John, The article wasn’t finished yet. You are right ofcourse, the women play an equal role. If you would be present at The Boat Race we invite you for a drink.